According to Joel Sherman, the Yankees are planning to call up Chance Adams to start Saturday’s game. He’ll be filling in for J.A. Happ, who is out with hand, foot, and mouth disease. Luis Cessa had been tentatively scheduled to start Saturday, but was needed in long relief last night. Adams, 23, is the team’s No. 8 prospect. He’s had an uneven season with Triple-A Scranton, throwing 98 innings with a 4.50 ERA (4.30 FIP). His strikeout rate is good (24.2%). His walk (11.4%) and ground ball (43.0%) rates are not. Adams took a no-hitter into the seventh inning last time out and he has a 3.32 ERA (3.85 FIP) in his last nine starts and 43.1 innings, so at least he’s trending in the right direction. 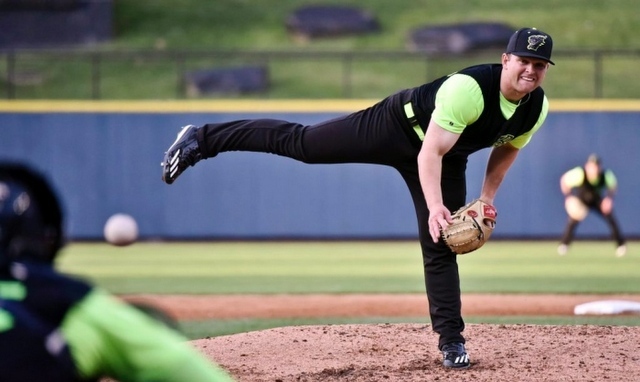 After sitting at 93-95 mph with his fastball in his first two seasons as pro starter, Adams had offseason surgery to remove bone chips from his elbow and has operated at 91-93 in 2018. His slider has lost a couple of ticks of velocity as well and isn’t as sharp as it has been in the past. Besides regaining his velocity, the key for Adams to reaching his upside as a No. 3 starter will be refining his changeup into a solid third offering. He also has a curveball that’s his fourth-best pitch yet still qualifies as average. He lives on the corners and the bottom of the strike zone, making it difficult to square him up. To me, this is the perfect opportunity for the Yankees to use an “opener” a la the Rays. Start a reliever on Saturday, let him get through the big bats at the top of the lineup, then turn it over to Adams and hope he can give you five innings while only facing the top of the lineup once. Maybe David Robertson can do it? Letting Adams face Mookie Betts, Andrew Benintendi, and J.D. Martinez in Fenway Park in his first inning as a big leaguer is rough. Opener or no opener, Adams will be the fourth player to make his MLB debut with the Yankees this season, joining Jonathan Loaisiga, Billy McKinney, and Gleyber Torres. The Yankees have an open 40-man roster spot for Adams, so that won’t be an issue. He’ll be Rule 5 Draft eligible after the season and was going to be added to the 40-man anyway. The Yankees are just getting a head start on it.